Yes, it’s possible to make a living and keep your dog happy and healthy. Here are the best dog breeds for someone who works. Do you work long hours but still want the companionship of a dog? If so, you’ll probably be interested in this list of the 10 best dog breeds for someone who works all day. Fortunately, even if you work long hours, you can still raise a happy and healthy dog, and it starts by knowing which breeds are most suitable for spending daytime hours alone. Keep reading to learn the best dog breeds for someone who works — plus how to make sure your dog feels comfortable when left alone. The Basset Hound is like the poster child for self-sufficient dogs. They spend most of the day sleeping, so there’s not that much to look after. When they’re awake, however, they’ll likely roam the house using their nose as a guide — just for fun. Even though they’re self-sufficient, Basset Hounds are still happy to see you at the end of the day. Don’t expect their energy levels to spike, though. They’ll likely just want a few extra hours of sleep in your lap. 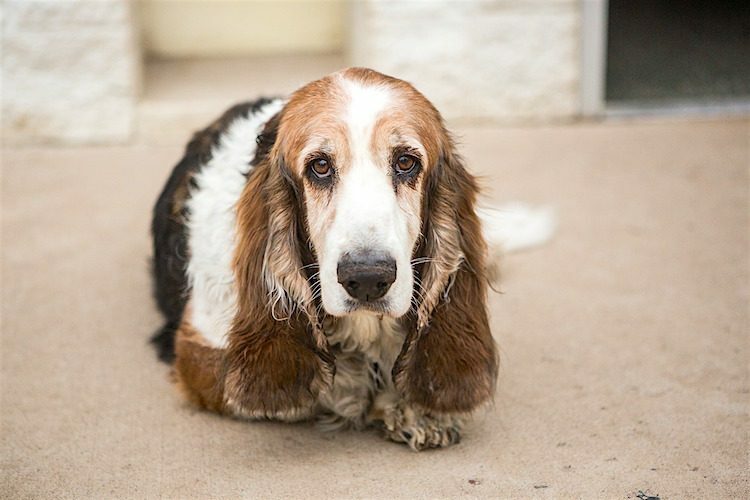 The American Kennel Club (AKC) labels Basset Hounds as “charming, patient and low-key.” What’s not to love about a dog who enjoys your company but is perfectly OK having some alone time? They’re large but short dogs. They need special attention when it comes to diet — extra weight makes them prone to back problems because of their length. They’re typically good with strangers and kids, so they make good family dogs. Akitas are traditionally hunting dogs, but they also make loyal companions. Akitas aren’t quite as self-sufficient as Basset Hounds, but they’re still capable of spending days by themselves without destroying the house. They don’t hate being alone, but they’ll certainly be happy to see you when you’re home. These strong-minded dogs aren’t scared of much, which likely adds to their tolerance of being stay-at-home dogs. Because of that, you’ll need to train them before leaving them on their own to make sure they know exactly what they should and shouldn’t do. Akitas originated in Japan, where they were bred to be hunters and guard dogs. Their background is what makes them fearless and loyal. They can easily weigh over 100 pounds, so having enough space for them is a must. They can be a little standoffish around strangers, kids and other dogs. Chow Chows aren’t usually the right dogs for typical “dog people” because, in truth, these big dogs act a lot like cats. Aside from their larger size, they tend to be independent and even aloof, traits you more commonly find in cats. In other words, if you’re looking for a 4-legged sidekick who lives for you and your happiness, the Chow Chow isn’t it. That being said, even though you won’t be getting that Golden Retriever-like eagerness from a Chow Chow, this breed is still loyal to the people they love. If that’s your jam, they could be the perfect pet. When people ask, “What’s the most low-maintenance dog out there?” Chow Chows are a good answer. They have low separation anxiety, they’re low maintenance and they tend to tolerate being alone particularly well. Chow Chows aren’t usually friendly toward kids and strangers, but they’re very loyal to their person. They’re susceptible to gaining weight, so “free feeding” while you’re not home isn’t recommended (and they need regular exercise when you are home). 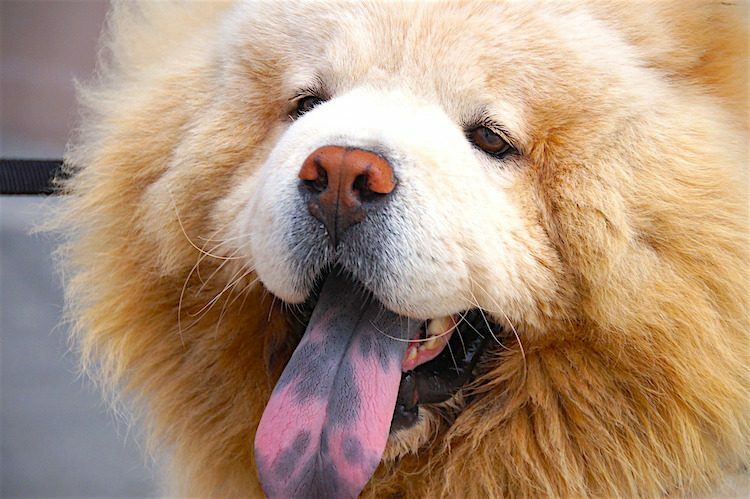 Chow Chows aren’t big barkers, so if you live in an apartment or with neighbors close by, a Chow Chow likely won’t ruffle anyone’s feathers. The Lhasa Apso is a small dog who tends to act a lot bigger than they really are. On first glance, you’ll just see a fluffy lap dog. 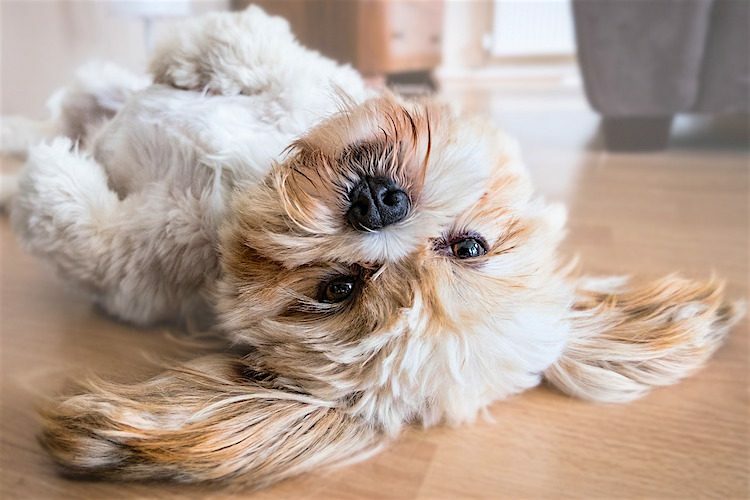 Get to know this breed, though, and you’ll see Lhasa Apsos proudly making sure their home is safe and sound. 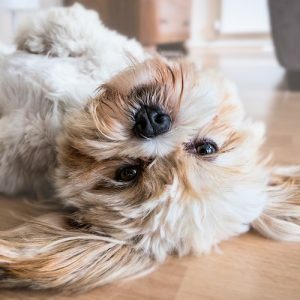 When it comes to what breed of dog can be left alone during the day, a Lhasa Apso will probably quietly stand guard until you’re back — instead of getting bored and tearing things apart like other breeds. They’re independent, which means that normally these dogs won’t mind being left alone while you’re at work during the day. Lhasa Apsos are great with kids, family and other dogs. They’re sturdy and adaptable, so they’ll do well in almost home size, family type or climate. 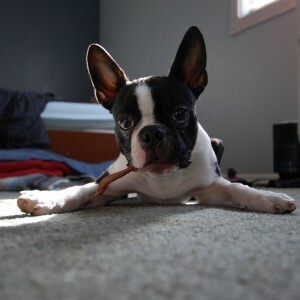 Boston Terriers are among the friendliest dogs you’ll meet. They’re small and generally energetic, but with adequate exercise, they’ll be fine spending most of the day on their own. These dogs reach only about 25 pounds in weight, making them the perfect-size dogs for small spaces. They also do well with strangers, kids and other animals, but they’re content being independent in small families, too. They’re easy to train, groom and keep healthy. They’re energetic, so give yours enough exercise. With a couple of long walks or trips to the dog park each day, though, they won’t mind taking it easy while you’re away. According to the AKC, they’re nicknamed “The American Gentlemen” because of how well-behaved they tend to be. While it’s true Greyhounds are typically known as racing dogs, they’re surprisingly lazy at home. Especially at their size (up to 70 pounds), though, they need exercise. So plan on long walks each morning and evening. Otherwise, these dogs spend most of their time sleeping. 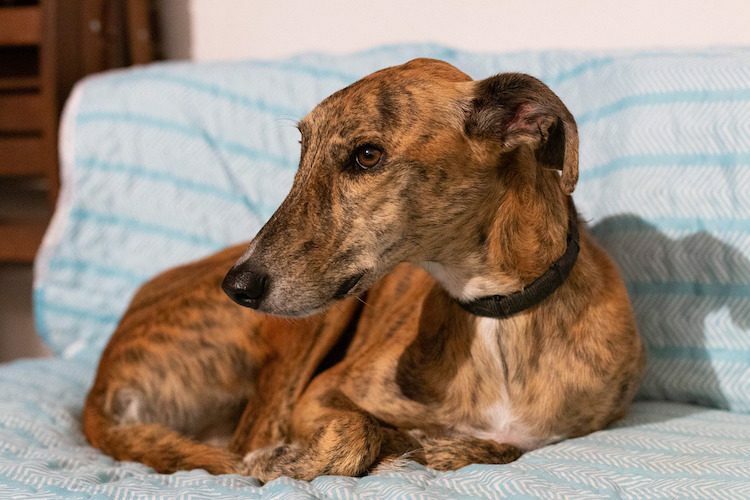 Although Greyhounds are lazy, they’re not typically as independent as some of the other dogs mentioned on this list, so having another dog at home or daily visits from a dog walker would make them happiest. Fortunately, they’re known for being friendly around other people and dogs, so having company shouldn’t be an issue. Greyhounds are prone to weight gain. Make sure yours gets enough exercise each day. They do great in hot weather, but because of their body types and fur, they need coats and blankets if living in cold climates. They’re easy to groom and generally healthy, making them particularly low-maintenance dogs. The squishy face of the Chinese Shar-Pei can be irresistible. If all you want to do is love and pet them, they won’t mind. This dog breed, while not the friendliest to strangers, is particularly loyal to their human. 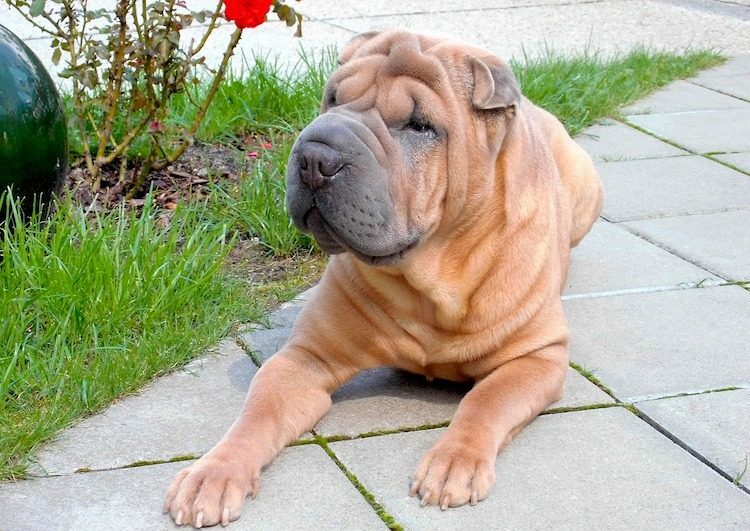 They can do well in families, but the Chinese Shar-Pei thrives in smaller group settings, where they can stand by and watch over their human companion. 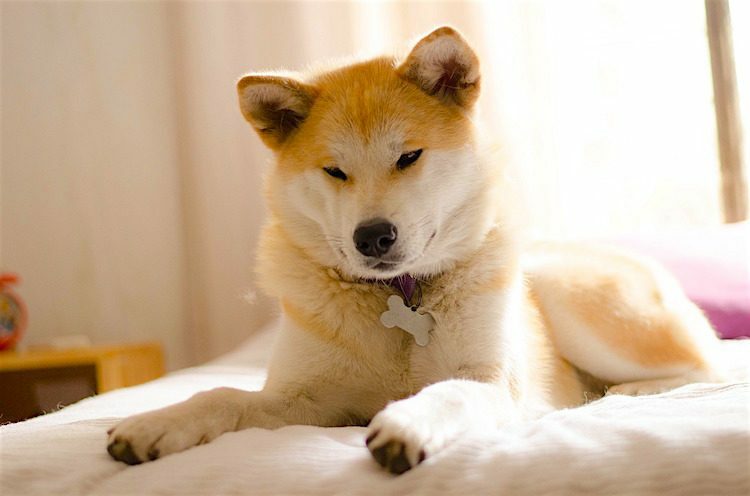 Their energy levels are low, so although they do need regular exercise — like any other dog — they don’t mind lazing around at home during the day. Shar-Peis are smart, so training them early is a must if you plan to leave your dog home during the day. Because of their rolls and pudgy noses, these dogs need to be groomed regularly. Watch for any breathing problems during exercise. Shar-Peis are calmer than other breeds and will likely want to curl up on the couch with you after you’ve returned from a long day at work. Weighing up to 130 pounds, Bullmastiffs definitely turn heads when they’re out and about. Because of their calm and loving nature, though, they usually don’t mind when a stranger comes up and pets them. These dogs are unique because, even at their size, they don’t need or want too much exercise. 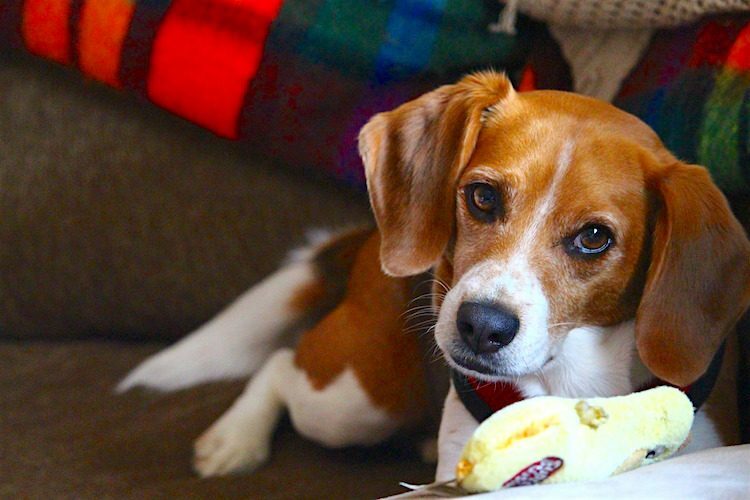 They’re perfectly happy lounging around at home, whether you’re there or not, so they’re one of the best dog breeds for people who work all day. 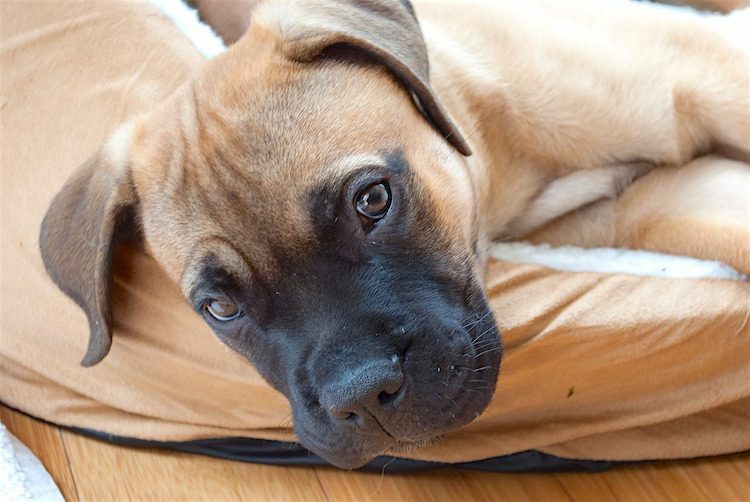 Bullmastiffs are independent but are known for keeping their family’s safety as a top priority. Just make sure to train them early while they’re still small — this isn’t the kind of dog you’d want pulling hard on a leash. Regardless of their size, Bullmastiffs are incredibly patient, making them great with young children. They do well in small homes or apartments. On the opposite end of the spectrum are Chihuahuas, weighing in at about 6 pounds. They’re smart, playful, easy to train and have an average energy level. If you’ve come into contact with aggressive Chihuahuas before, it’s typically because they’re not trained and socialized from an early age. Make sure to do so, and your tiny dog should do fine around kids and strangers. Give your Chihuahua regular exercise before and after work because these dogs’ little bodies are prone to gaining weight if not managed well. They’re easy to groom and maintain. 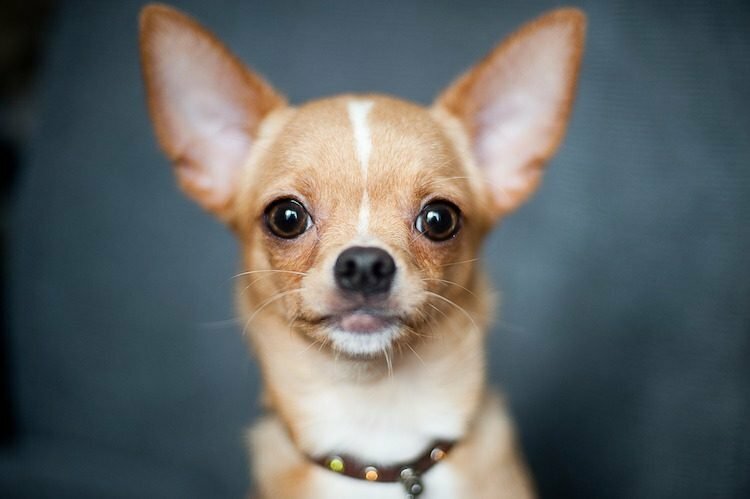 Chihuahuas are smart and respond well to training. Although Chihuahuas are fine to be left alone, they’re often happier in pairs. 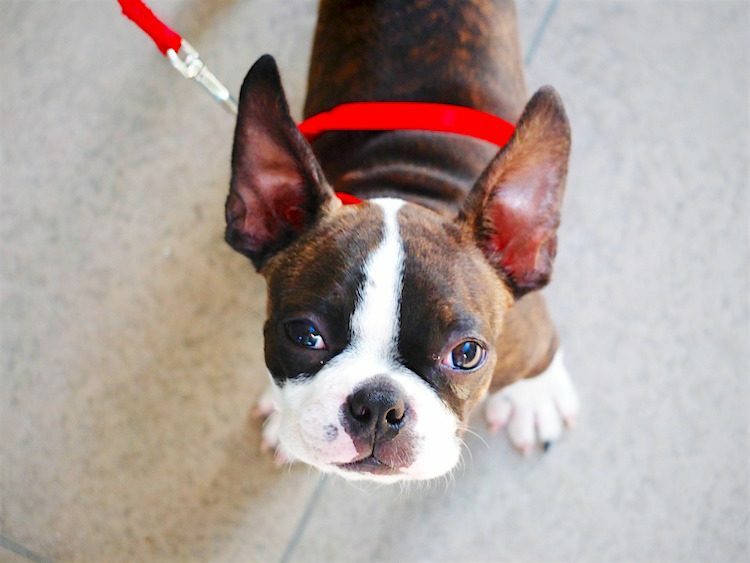 Take a walk through any big city in the country, and you’ll likely see a French Bulldog — or 10. The reason? Frenchies are great apartment dogs. Aside from doing well in small spaces, though, they’re also content being left alone while you’re at work. In truth, if you’re a “small dog person,” French Bulldogs might just take the prize for best pup companion out there. This breed is friendly, smart, loyal and easy to care for. If you’re looking for the best dog breeds for full-time workers, this is a good one — they’re happy to be on their own but will want nothing more than to spend time with you once the work day is over. Although these dogs can be extra playful, they have an average energy level, which means they’re just as happy napping the day away. Heavy exercise makes breathing difficult because of their short noses, so they don’t need strenuous exercise — a short trip to the local dog park will do. 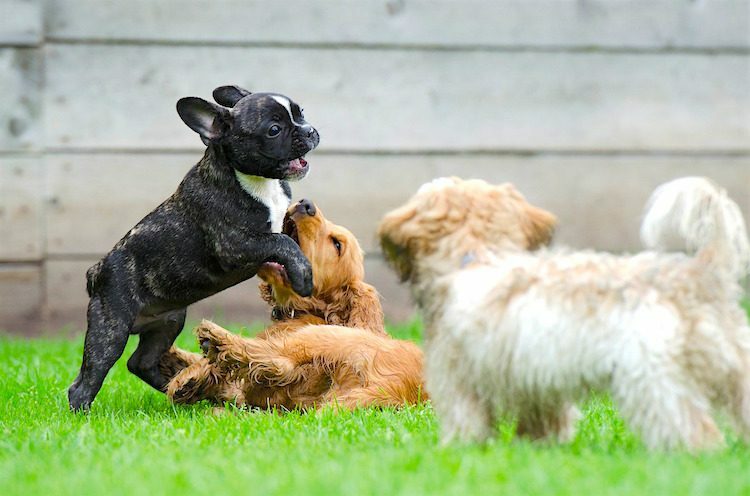 Kids and French Bulldogs go hand in hand, so little ones running around shouldn’t be a problem. Is it OK to leave a dog alone for 12 hours? Although the breeds mentioned above are pretty independent and have low separation anxiety, you’ll want to keep the length of time you’re away to a minimum. Some veterinarians recommend letting your dog out to pee 3–5 times per day, with no more than around 6 hours between those times (for adult dogs). If your work day is longer than 6 hours, that means hiring a trusted dog walker. Having them stop by once during the day can make a world of difference to both your dog’s happiness level and their bladder. Is it OK to leave a dog alone overnight? The answer to that question is the exact same. If “overnight” means longer than 6 hours, either take your dog with you or hire a sitter/boarder to take them for the night. Yes, dogs can get lonely. Not every dog is the same, and yours might not handle being left alone as long as another dog of the exact same breed. So, how do you tell if your dog is happy being left alone? 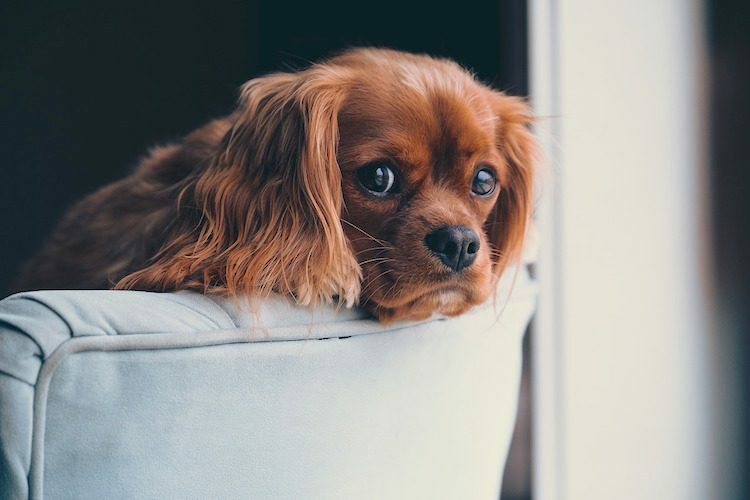 According to the American Society for the Prevention of Cruelty to Animals (ASPCA), separation anxiety is one of the most common characteristics of dogs who are unhappy being left alone. This is often expressed as anxiety or depression when you’re either leaving home or getting ready to leave. Even if you don’t notice these specific symptoms, any changes in your dog’s behavior when they’re being left alone could be signs that your dog is lonely. How long can you leave a dog in a crate? Crates are best for raising and training puppies. Puppies should never spend a full day in a crate. Once your dog is trained, crating them all day should be a last resort. If they can’t behave well outside their crate, there’s likely an underlying problem, such as inadequate exercise or anxiety, that you’ll have to address. Just like humans, dogs need room to move around and stretch their bodies throughout the day. If your day job is at a desk, you know what I mean — sitting in the same position all day can be downright painful. So if you have to leave your dog in a crate, do so for no more than a few hours at a time so they can move their bodies around as needed. By following these guidelines when you’re searching for the best dog breeds for someone who works all day, you should be able to enjoy the companionship of a dog and all the benefits that come with it. Just make sure bringing one home is in their best interest, not just yours. AKC Staff. “Separation Anxiety in Dogs.” American Kennel Club. June 16, 2015. https://www.akc.org/expert-advice/training/separation-anxiety-in-dogs/. Pierce, Jessica, PhD. “When Leaving a Dog Alone, How Long Is Too Long?” Psychology Today. Feb. 21, 2018. https://www.psychologytoday.com/us/blog/all-dogs-go-heaven/201802/when-leaving-dog-home-alone-how-long-is-too-long. 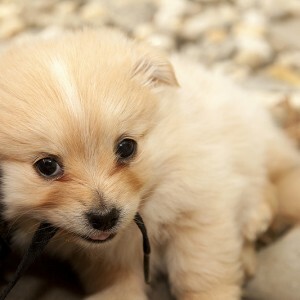 “Common Dog Behavior Issues: Separation Anxiety.” ASPCA. https://www.aspca.org/pet-care/dog-care/common-dog-behavior-issues/separation-anxiety.